The police departments in Dayton, Ohio and Madison, Wisconsin have both adopted nontraditional responses to the opioid crisis and other drug addictions, including outreach to overdose victims, joint-working with treatment and service providers, and pre-arrest diversion. Dayton, in particular, was nationally known as the epicenter of the opiate epidemic, with police personnel administering 162 doses of naloxone to 82 overdose victims in one month in 2017. Major Wendy Stiver from Dayton PD and Captain Cory Nelson from Madison PD will describe the responses implemented in their cities, the results, and current trends including drug abuse patterns shifting from heroin to cocaine and methamphetamine, both often contaminated with fentanyl. 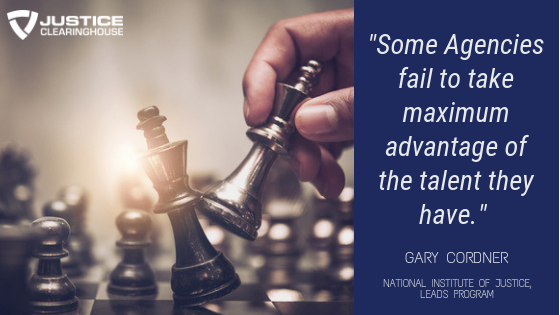 As a program supported by the National Institute of Justice, The LEADS Scholars program grew out of a desire to support and develop the next generation of law enforcement leadership in America. 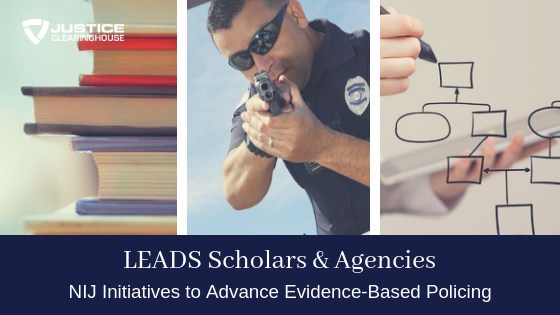 The LEADS Scholars program offers immeasurable benefit both to both scholars and their agencies. 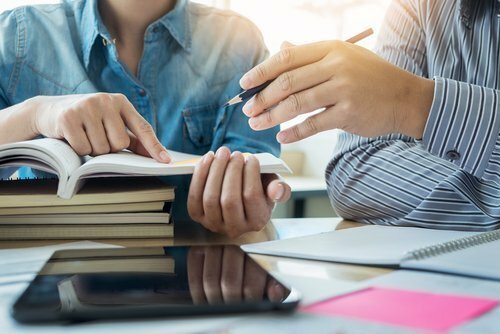 With NIJ advisory and research support, LEADS scholars have designed and conducted studies to help their agencies identify and solve major challenges through research. The program provides officers with professional development, mentorship, and networking opportunities, and NIJ provides editorial support in publishing and promoting research. 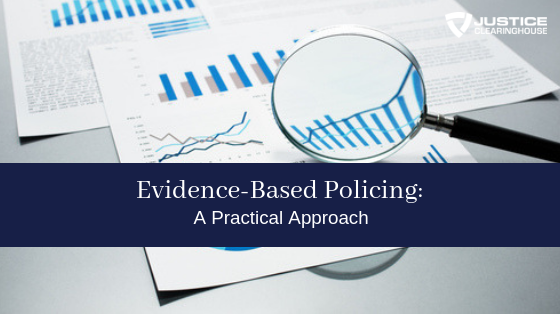 This webinar has been presented in partnership with the International Association of Law Enforcement Planners. 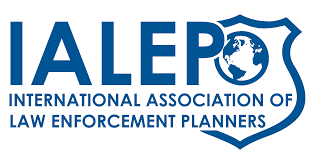 IALEP is a member-governed organization for people working in, or interested in, planning, policy, budget, performance measurement, analysis, research, and other related functions for criminal justice agencies. 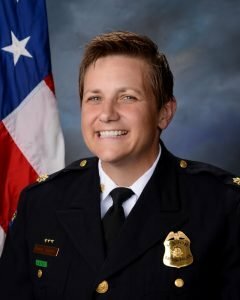 Major Wendy Stiver is the commander of the Central Patrol Division at the Dayton (Ohio) Police Department. She has also served as the commander of the Central Investigations Bureau and in both East and West Patrol Divisions. She holds a master’s degree in criminal justice from the University of Cincinnati. She is also a graduate of the Police Executive Leadership College and Certified Law Enforcement Executive course. Major Stiver is an adjunct instructor at Wright State University and teaches graduate courses in criminological theory. In addition to a current research project on police intervention in infant mortality cases, Major Stiver led a foot patrol evaluation with the University of Cincinnati, quantitative analysis on patrol officer exposure to secondary trauma and is working on a volunteer hot spot patrol project, photo enforcement compliance and a sentinel event crash reduction multi-disciplinary team review. 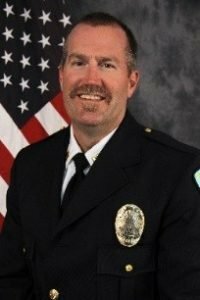 Cory Nelson is a Captain with the Madison, Wisconsin Police Department and is in his 30th year of employment. He is assigned as the South District Commander. He began his career in patrol for 9 years in a variety of positions; he then went on to serve as a narcotics and violent crime detective for 14 years. He then was assigned as a Lieutenant as the Officer in Charge of the afternoon shift for the City for a year, followed by a 2 year stint in Professional Standards and Internal Affairs, then a year in Investigative Services. During that time, he was in charge of the Violent Crime Unit, Burglary Unit, Special Investigations Unit, Gang Unit, Criminal Intelligence Unit, Criminal Intake Unit and served as the Assistant Tactical Team Commander of the SWAT team. He is a Certified Public Manager through the WI Law Enforcement Command College. He was also one of 10 officers selected to participate in the Law Enforcement Advancing Data and Science (LEADS) Scholar program through the National Institute of Justice. Cory led the push and received a Smart Policing Grant through the Dept. of Justice- Bureau of Justice Assistance, to work on an opiate-related criminal diversion grant in 2016. Opiate-related overdoses have been skyrocketing up for several years in Madison, in 2017, there was a 77% increase alone. Opiate-related overdose death rates are also increasing every year. Through a lot of time and effort, the police department was able to form valuable relationships with the Public Health Department, Dane County Human Services, Safe Communities, Parent Addiction Network, Madison Fire Department, WEA Trust, and a host of other agencies. The MPD was also fortunate enough to partner with University of Wisconsin’s Dr. Aleksandra Zgierska, who is a nationally known researcher in the opiate treatment field. The idea behind the grant is to funnel low-level property criminals, who are committing crimes to support an opiate addiction, as well as overdose victims, directly into treatment, thus bypassing the criminal justice system and the lifetime stigma of having a criminal record of opiate possession. 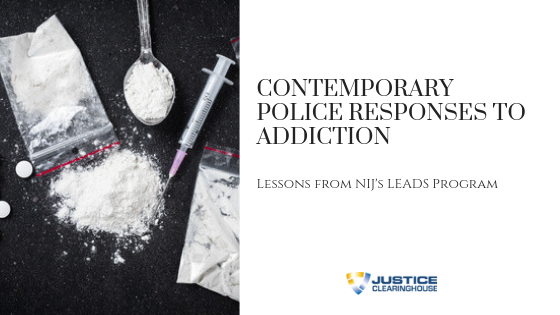 For years, we as law enforcement have looked at addiction as crime, we are now changing our thinking and looking at addiction as a disease that should be treated as such. Several different programs around the country were looked at and we designed a program that we feel is the best fit for our community. A number of hurdles have been thrown in our team’s path, but with a united front, we have been able to overcome them. This is a unique partnership between the police department and community health organizations that had not been attempted before in our city.